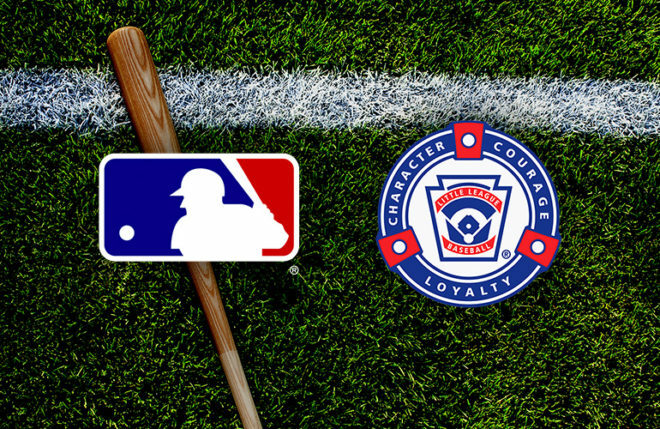 T-Mobile and Major League Baseball have partnered up quite a bit in recent years, with T-Mo sponsoring the MLB Home Run Derby and offering free MLB.TV to customers, and it looks like that partnership will continue for years to come. T-Mobile and MLB have extended their partnership for four more years. This means that T-Mobile will continue to be the Official Wireless Sponsor of MLB and will be the title sponsor of the T-Mobile Home Run Derby during All-Star Week. Additionally, T-Mo is now the Official Wireless Sponsor of Little League International. As a reminder, T-Mobile customers are getting a free MLB.TV subscription again this year. It’ll be available through T-Mobile Tuesdays from 5:00 am ET on March 26th through 11:59 pm ET on April 1st. With free MLB.TV, T-Mo customers can watch every 2019 out-of-market regular season game live or on demand, and select Spring Training games are available, too. With MLB At Bat Premium, games can be watched on iOS, Android, and Kindle Fire devices, too. That’s not the only MLB goodness that’ll be in T-Mobile Tuesdays next week. T-Mo will also offer a grand prize trip to 2019 MLB All-Star Week in Cleveland, OH. Just enter via the T-Mobile Tuesdays app or website on March 26th or March 27th and you’ll have the chance to win an all-expenses paid trip to 2019 MLB All-Star Week, including VIP access to select events during the week. Finally, T-Mobile says that it’s working on a “national MLB ticketing program featuring special offers” that’ll be coming to T-Mobile Tuesdays this year. Today’s news is pretty exciting for baseball fans on T-Mobile. The carrier has been offering free MLB.TV streaming to its customers for several years now, and it’s consistently one of T-Mo subscribers’ favorite promotions. While T-Mobile isn’t confirming that it’ll offer free MLB.TV for the next four years, the extension of the T-Mobile-MLB partnership does seemingly increase the odds that we’ll see free MLB.TV offered again in the future. I wonder if Cleveland will be 5G ready when the allstar game comes to town. No it will not, they have already said they are taking there time with 5g and along with that current phones are not 5g compatible so it will be useless. They don’t want to do like att and lie about their network. I guess I’ll go watch the local team sometime.